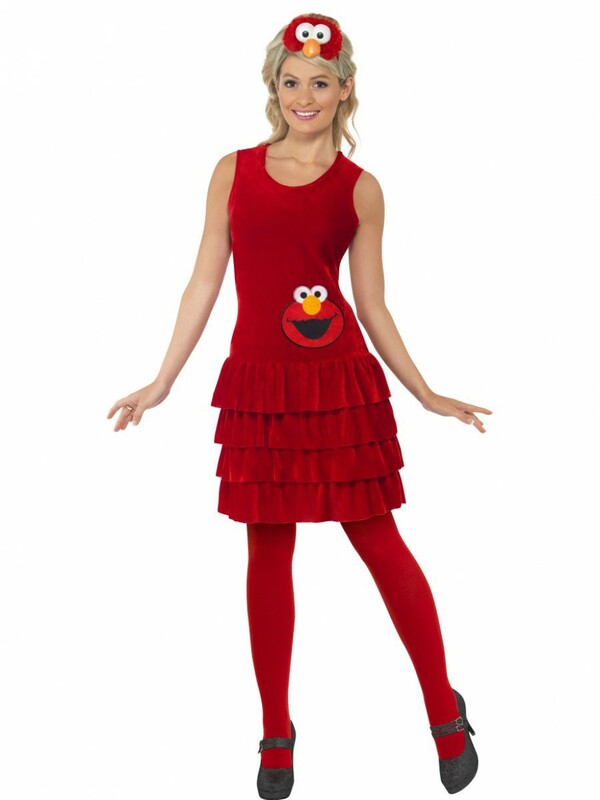 An iconic TV character; this Female Elmo Costume includes Dress, Headpiece and Socks, perfect for TV/Comedy/Character themes! Surprise fellow attendees with this feminine licenced Female Elmo Costume, ideal for Comedy/TV/Character or Decade themed fancy dress occasions. This entertaining outfit includes Dress and Headband. The deep red velour-style dress measures just above the knee; in a sleeveless design the costume also has a printed Elmo face on the bottom left of the stomach area; the dress is layered at the bottom in a four-tiered design. To further stand out, there is a gorgeous Elmo headpiece included. This is a furry Elmo face with eyes and orange beak, on a red headband to ensure all eyes are on you! This pretty Female Elmo Costume is all you will need to impress fellow party-goers, ideal for Comedy/Character/Decade or TV themed fancy dress! Available in Extra Small and Small. 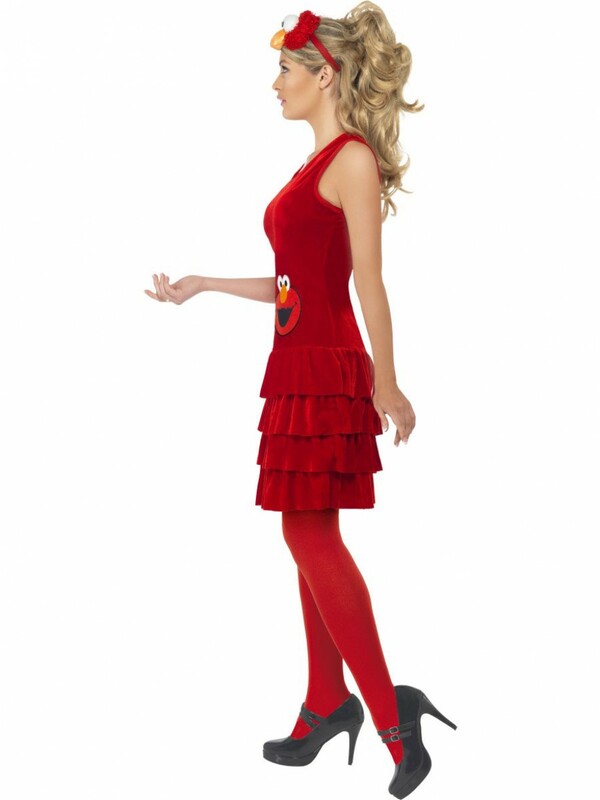 Female Elmo Costume including Dress and Headband. Available in Extra Small and Smal.